End of my summer vacation and perhaps the first good weathers (concerning astrophotography) after last winter. Even then it was mostly cloudy and the few cloudless nights happened to be when I was too tired or had something else to do. I look at the time stamps on my astrophoto directory and I see 2014-09-04, 2014-09-13, 2014-09-30 and 2015-02-10. I hope this season is a lot better. I was anxious to go out as early as it was reasonable. First trying to remember how to align the EQ3, then taking some test photos of possible exposure times. I bought a new laptop a while ago. Before I had EeePC to control the camera, but its screen is quite small for it. Now with bigger screen it was extremely easy to focus the lens. 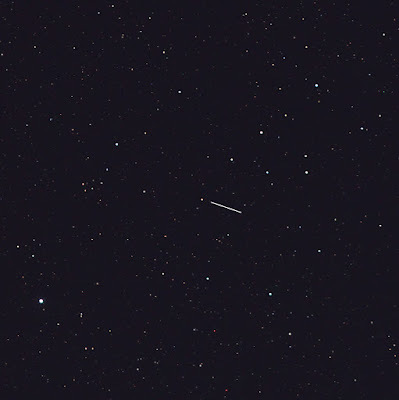 Live stream from camera to computer and pointing to some bright star. My plan was to take a photo of Barnard's Star. It's the closest star you can see on northern sky, just about 6 light years away. Alpha Centauri system is closer with 4.3 ly, but Barnard's Star is the second after that. What made it interesting to me is the stars proper motion. It moves 10 arcseconds a year making it possible to see it's motion in just the span of few years. I plan to take similar photos every year from now on and compare them when I have enough data. 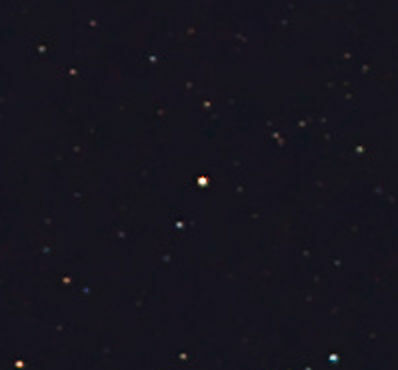 Barnard's Star can be seen close to 66 Ophiuchi, which has magnitude of 4.8 and can be seen with naked eye. On my 200 mm lens I could fit magnitude 3.9 star 67 Oph on same view and that was even easier to locate on sky. Barnard's Star has magnitude 9.5 so it's not visible to naked eye. 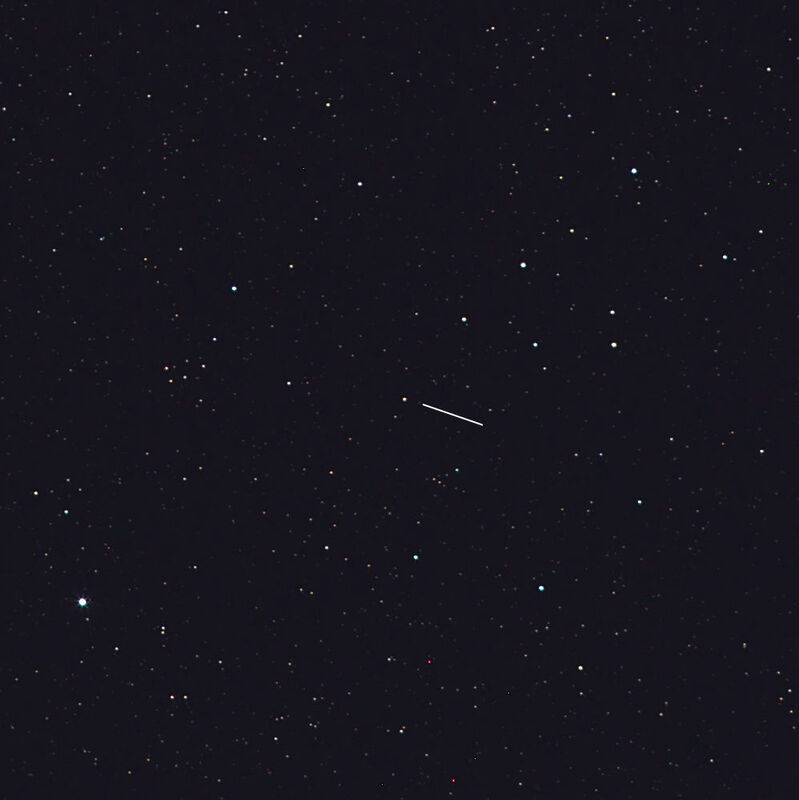 I took a couple of lucky shots of the area close to 66 Oph and 67 Oph and compared the photos to Stellarium charts. Not much to see actually. Colour is red as it should be on a red dwarf. That's about the science I can do with this data. Then couple years of waiting with this project. ValueError: Cannot load a memory-mapped image: BZERO/BSCALE/BLANK header keywords present. Set memmap=False. It took me a while to understand and fix. The files are quite big and there might be a lot of them in the memory simultaneously so memmap is an important feature and can't be set False. Internet wasn't helpful at first. I tried removing said keywords from header, but it didn't help. Finally I found something that said Fits format not supporting datatype uint16. That was what I was using. I changed it to int32 and everything works. The new CLI is perhaps half done. You can run a simple stacking process with it but many features are still to be implemented. My plan is to get 0.7 done before the stargazing season in Finland begins. That means about a month.